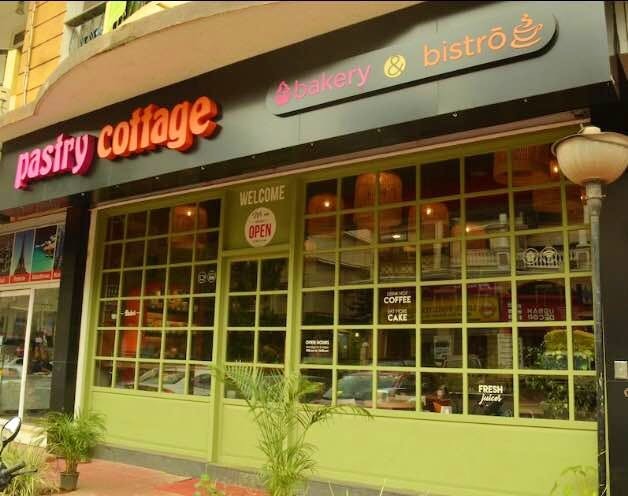 Pastry cottage which is one of the oldest bakeries in Panaji has recently opened a bistro at its new location in Caranzalem, close to Miramar beach. With a cosy seating area, you can relish fresh fruit pastries, prawn Rissosis, chicken croquette (my favourite) while sipping piping hot coffee. A perfect place to spend your wintery evening catching up with your old buddies or reading a book. If you're in a rush, you can also pick up warm and buttery cake slabs in all possible flavours like plum, banana, walnut, almond and many more. They also take cake orders for birthdays, weddings etc and you can also find readymade cakes to choose from. I recommend their pineapple cake which played a huge role in making my 12th birthday memorable! Their chicken Mexican roll is the best in Goa and is devoured as soon as the batch is out. Visit once and you will be hooked on for your sweet and spicy cravings for life.